When making games, there are two ways to make a dungeon. 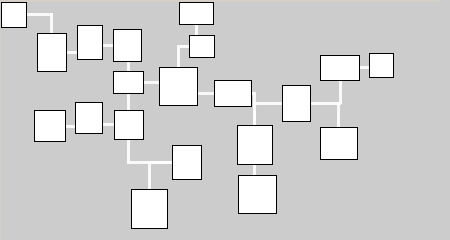 The common method is to design one in the CAD tool of our choice (or to draw one in case of 2D games). The alternative is to automatically generate random Dungeons by using a few very powerful algorithms. We could automatically generate a whole game world if we wanted to, but let's take one step after another. In this Tutorial we will implement procedural Dungeons in Clojure, while keeping everything as simple as possible so everyone can understand it. If we want to generate Dungeons, we will face a few challenges. We could start by spawning random rectangles in the game world. Which isn't really a dungeon at all. There is no way that a player can start in one room and reach all the other rooms. Which leads us to another challenge: the player should be able to reach all rooms. There is no point in generating a dungeon where the boss room can't be reached. We have to make sure that every single room can be reached from every other room. But this gives us a really boring dungeon because the player could directly walk from the entry room to the boss room. What we really want is a dungeon with just a few big boss rooms and many small rooms along the way, just as we know it from all those RPGs out there. Now the good news: all of those problems have been solved before. There are several really powerful algorithms in the computer science field that will help us generate our Dungeons. So let's get to work and implement them! Where x and y are the position, w and h are the width and height. Now spawning a few of them is very easy, thanks to the repeatedly function. We will implement a gen-rects function that has a parameter n (amount of rectangles) and a parameter r (radius in which to spawn them). Note: (rand-int r) returns a random number between 0 and r.
Note: this works because the (rand) function always returns a number between 0 and 1, so the size is always between r/2 + 0 * r/2 and r/2 + 1 * r/2. There is one last thing to understand about our gen-rects function: it returns a set, because this makes our lives much easier later on. Note: a draw-dungeons function can be found in the project files, but you can use any drawing library/function that suits your needs. As mentioned before, we don't want them to overlap. 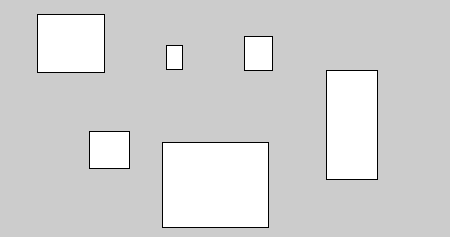 The easiest solution would be to move every intersecting rectangle to the right until it doesn't intersect with any other rectangle anymore. 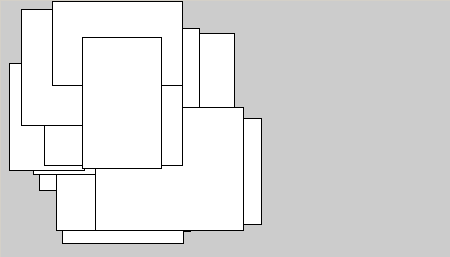 So let's implement a real rectangle separation algorithm. 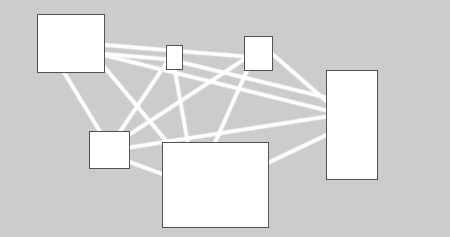 It will also go through one rectangle after another, moving it into some direction until it doesn't intersect with any other rectangle anymore. The only difference is that instead of always moving it to the right, it will move it away from the center. Note: the function's parameter looks so weird because Destructuring was used. Enjoyed this preview? Become a Premium member and access the full Clojure Procedural Dungeons Tutorial!